and Armand Quadrini, KSQ Architects. 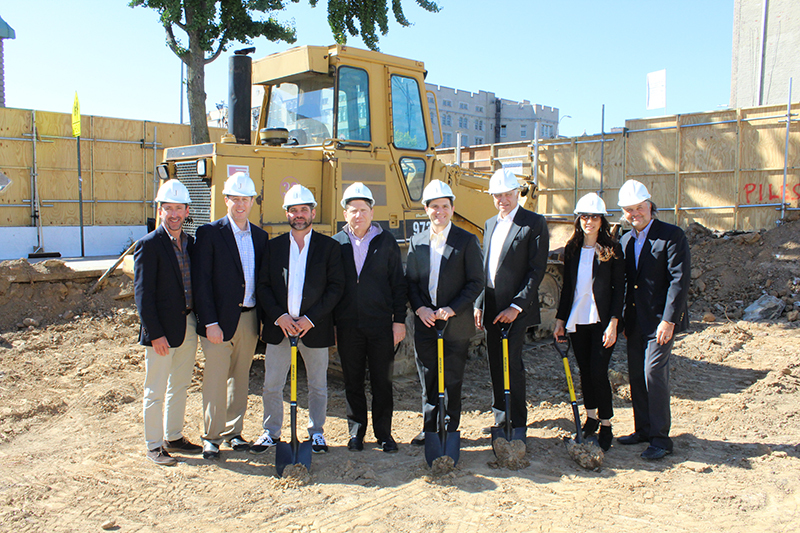 Brooklyn, NY The Kalikow Group, a fourth-generation, N.Y. property management and development firm, has broken ground on 2415 Church Ave., a $29 million, 67-unit rental residential building in Prospect-Lefferts Gardens. Preliminary work began on the site in September. The Kalikow Group, WRS Associates and the Ishay Group are joint owners of the property. The as-of-right project will include studio, one and two-bedroom units priced at market rates and featuring high ceilings, open kitchens, appliances including in-apartment washer/dryers, wood floors and bathrooms. The building will include a fitness center, lounge and workspace, rooftop deck, and a bicycle storage area. The project is set for completion in mid-2019. The builder is The J Companies. WRS is the builder on the project and KSQ Architects is the architect. The Kalikow Group is a multi-faceted real estate organization focusing on joint venture equity financing, multifamily property management, and development and construction services. Over the past ten years, The Kalikow Group has invested more than $100 million in projects across the country, and has total project capitalizations exceeding $1 billion.